Benge Industries services and solutions. Sealcoating functions in the same way as any protective coating. It puts a barrier between the degradants and the product, sealing in asphalts natural flexibility and performance. 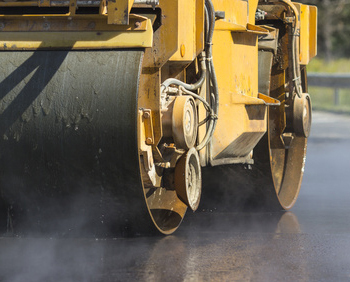 Benge Industries provides a wide range of paving services from site preparation to installing the asphalt and striping. We also provide repair and maintenance services. 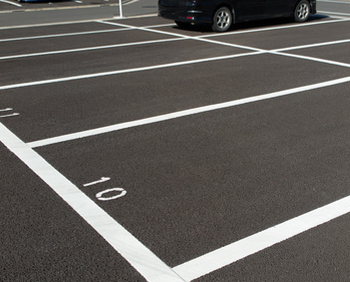 We provide parking lot and other striping and thermoplastic pavement marking solutions. We also can provide signs for information and guiding vehicles and pedestrians. 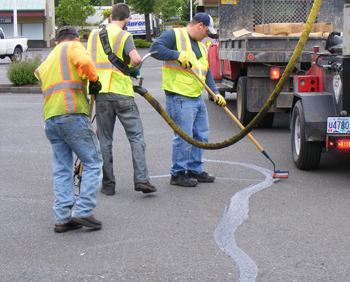 Our process seals joints and cracks against moisture infiltration into the sub-grade preventing pavement failure. If maintained properly, the life of the pavement will be extended, saving money in the long-term. 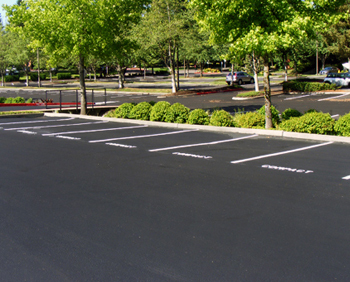 Extruded concrete curbing is very cost-effective, especially when adding concrete curbs to existing asphalt parking lots. 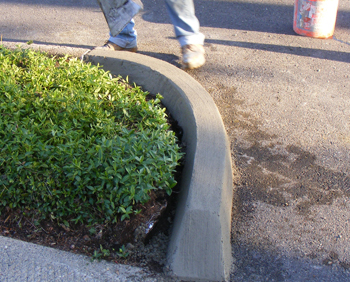 In addition, we repair existing extruded curbs that have been damaged. 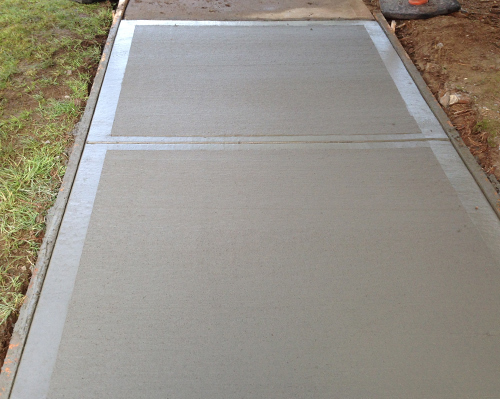 Whether it be dumpster pads, sidewalk repairs or driveway approaches we are flatwork specialists with the capabilities to remove and replace your area of distress.